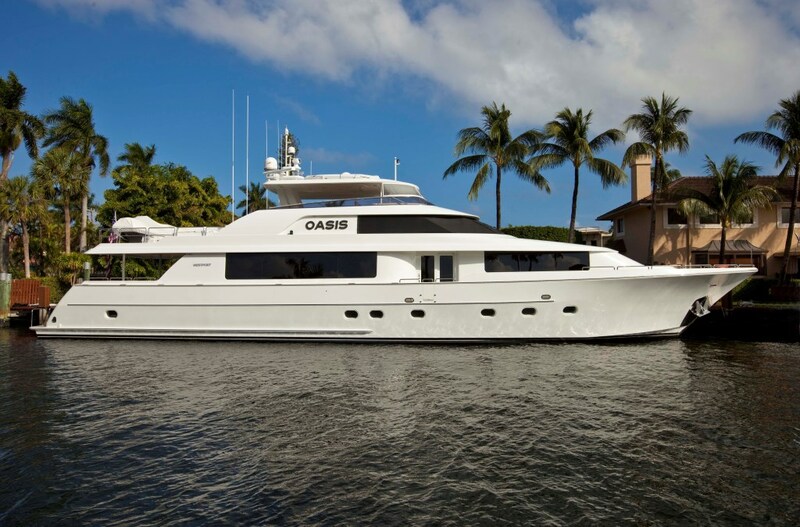 Luxury motor yacht OASIS (ex Domino, GALE WINDS) was built in 2006 by Westport Marine and measures 34.14m (112ft). 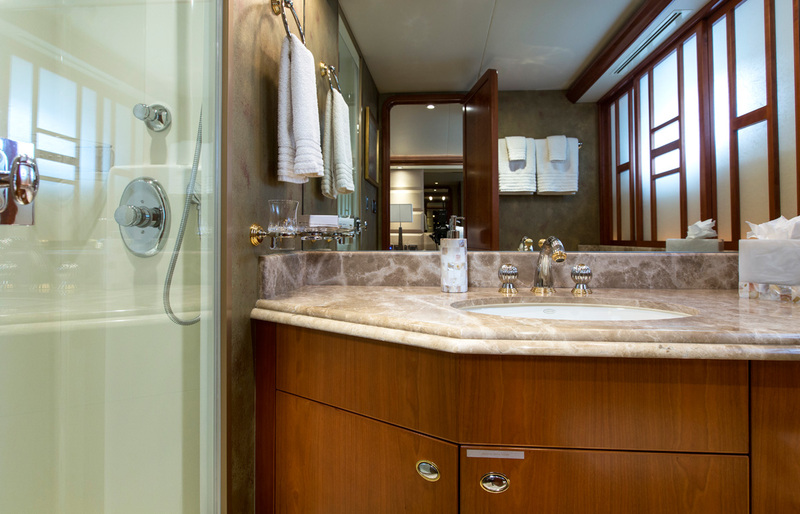 In 2014, M/Y OASIS underwent and extensive refit. 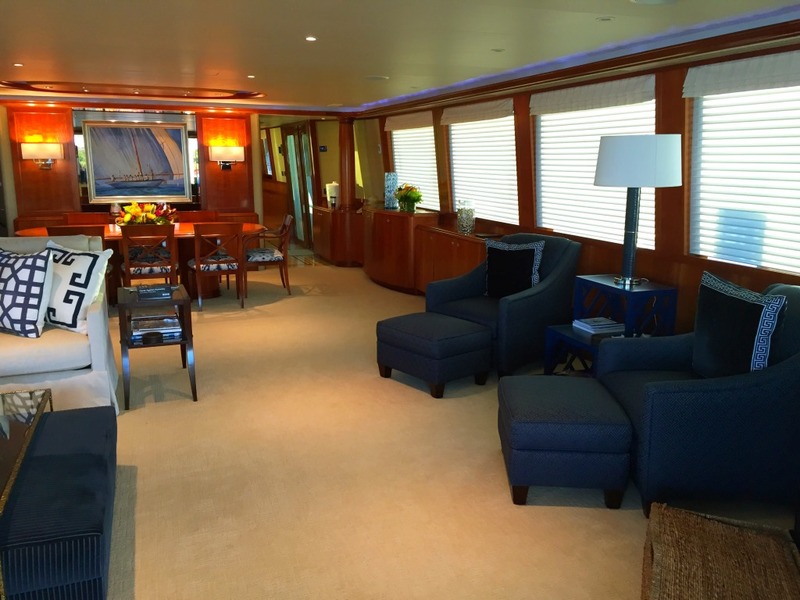 Crewed charter yacht OASIS boasts ample interior and exterior living for up to 8 guests. 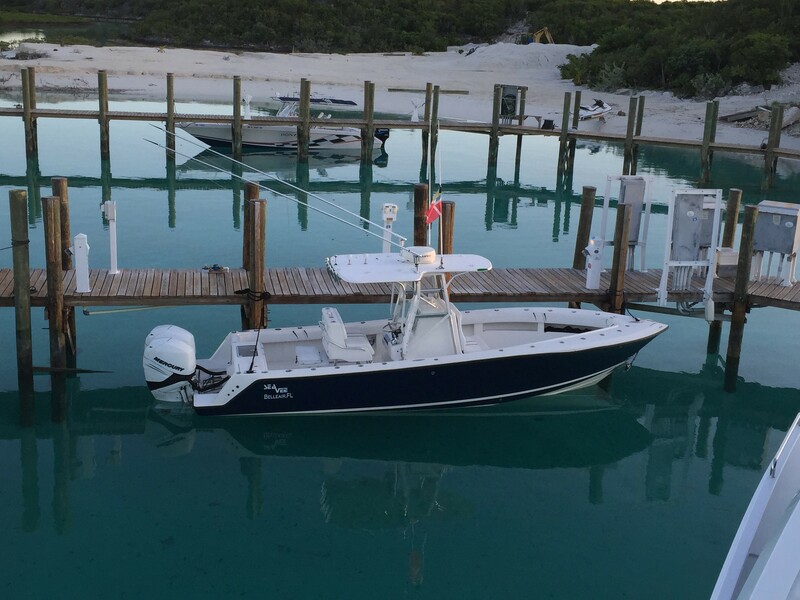 She is available for charter in Florida, the Bahamas and New England. 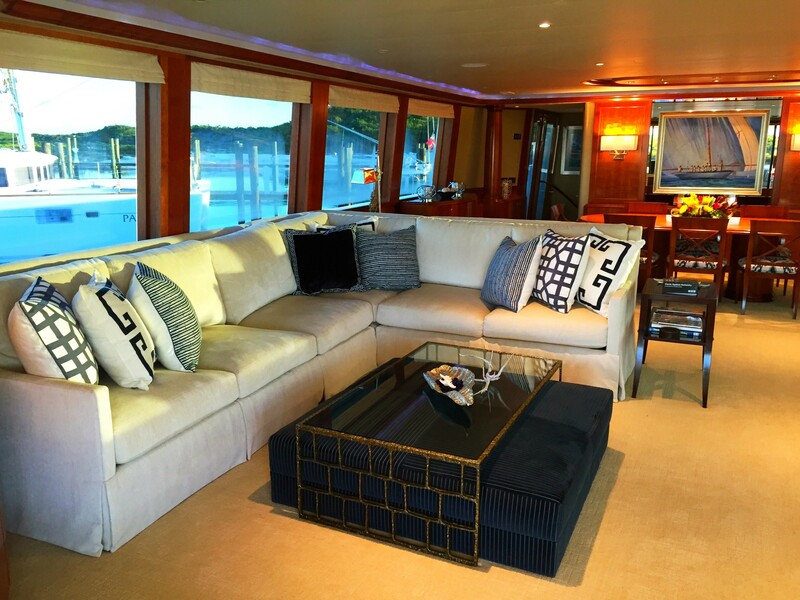 The interior décor aboard the motor yacht OASIS is refined and elegant, boasting fine cherry woods, contemporary soft furnishings, stunning marbles and plenty of natural light. The salon is an open plan, offering a generous lounge aft, complete with a comfortable sofa, occasional chairs, coffee table and full entertainment center. 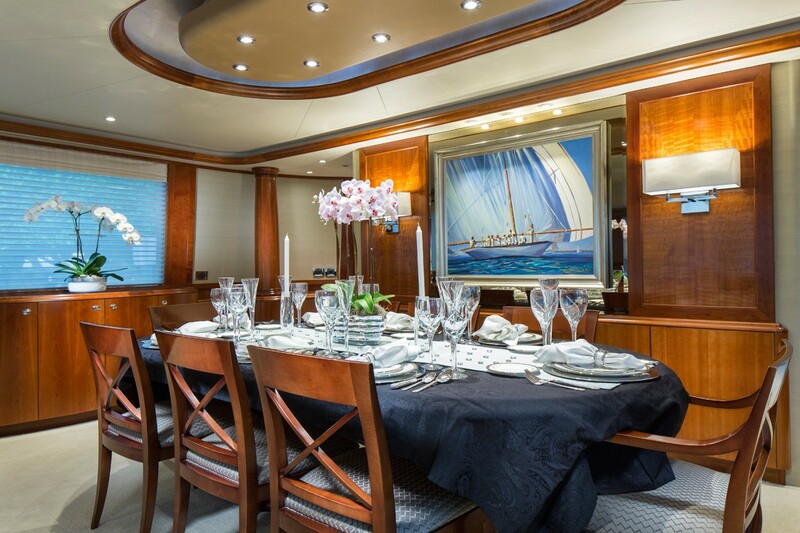 Forward in the salon is the formal dining table, easily seating 8 guests. 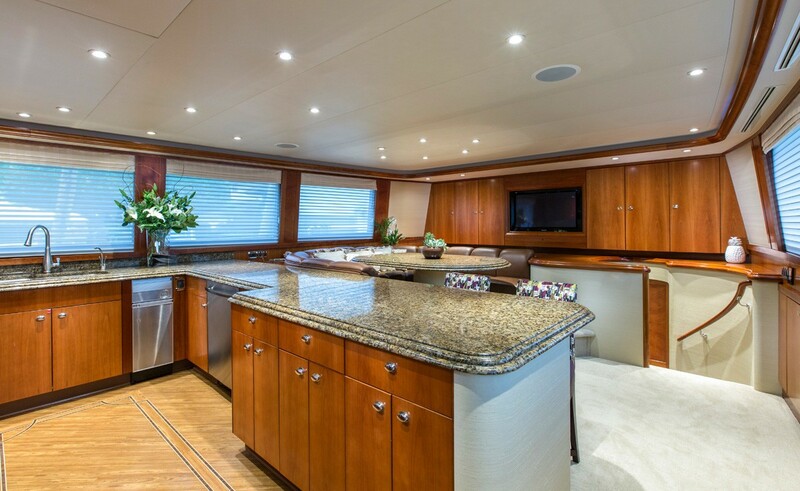 A foyer on the starboard side leads through to the large country galley and casual dining space. A day head is available on the port side, forward of the salon. 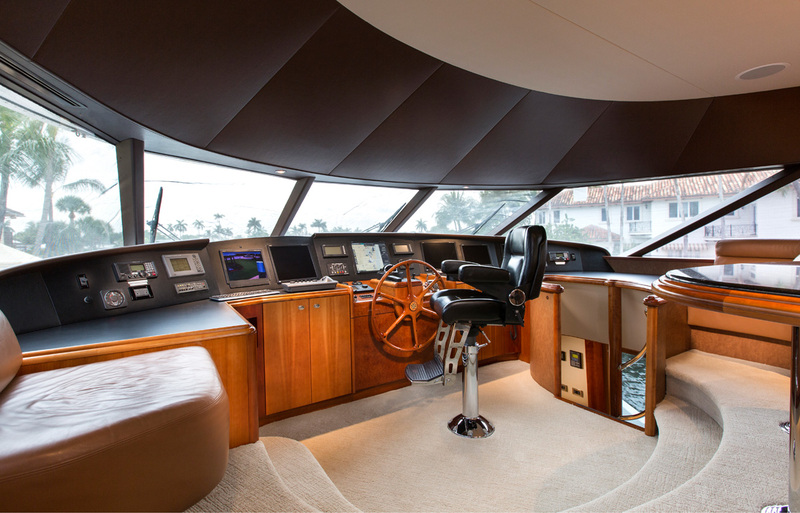 A spiral stair case in the foyer gives way to the pilot house, where an additional seating area can be found, plus direct access to the sundeck. Guest accommodation is in 4 cabins, each with private en-suite facilities. 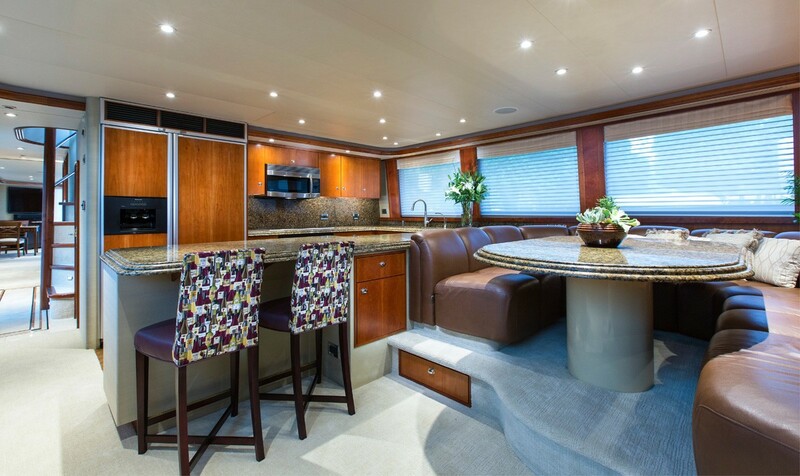 The OASIS motor yacht boasts fabulous exterior living areas, ideal for her cruising grounds. 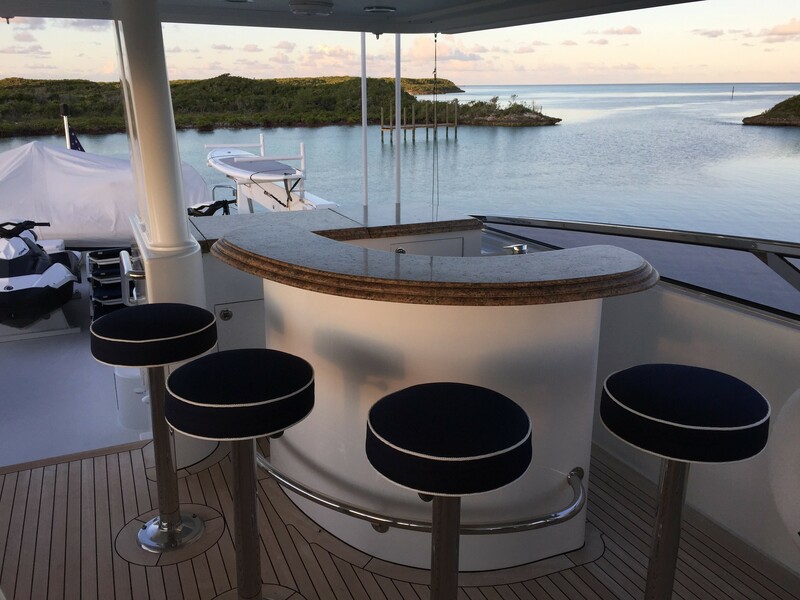 Enjoy a cool cocktail from the marble topped wet bar on the aft deck, perhaps while catching the latest in sport, from the built in TV. Dine alfresco on the large dining table aft of the bar. 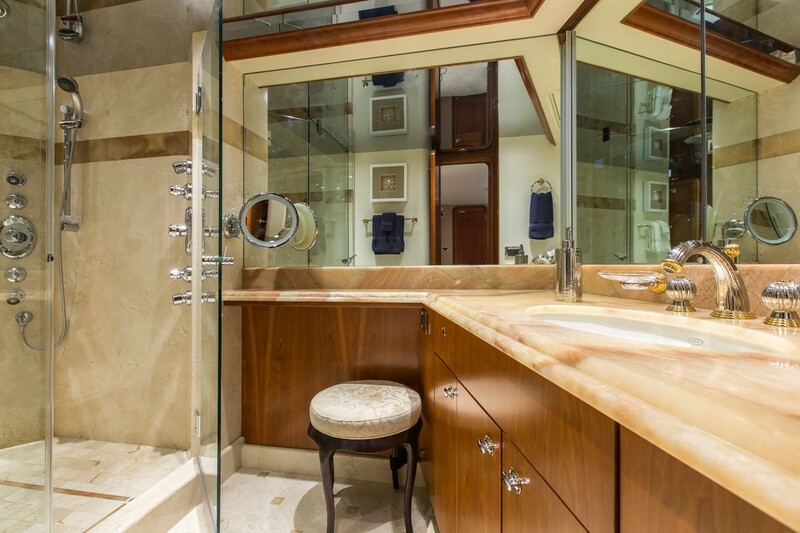 Wide sliding glass doors lead directly into the salon, creating the perfect overall social ambiance. 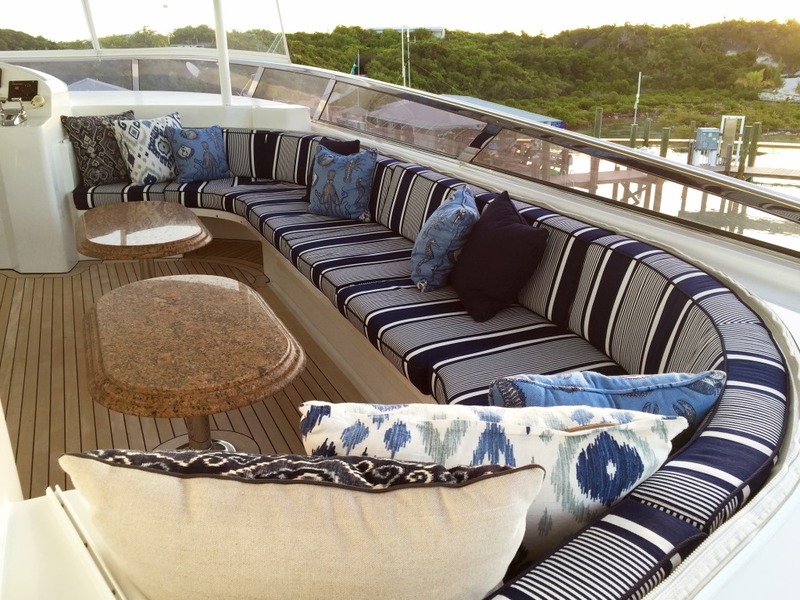 The main deck wraps around the yacht 360° and offers a circular seating area and bow seat on the foredeck. 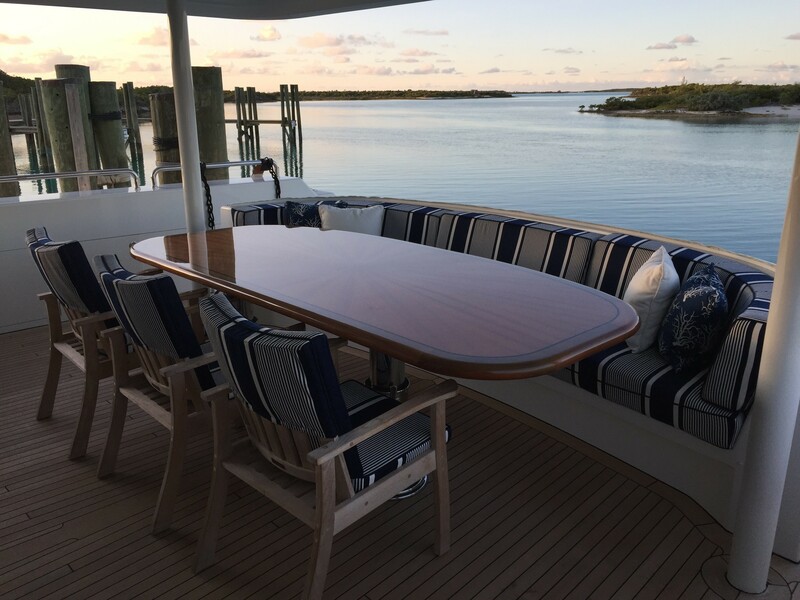 A sundeck is well-appointed and is a great gathering place for entertaining and relaxing. 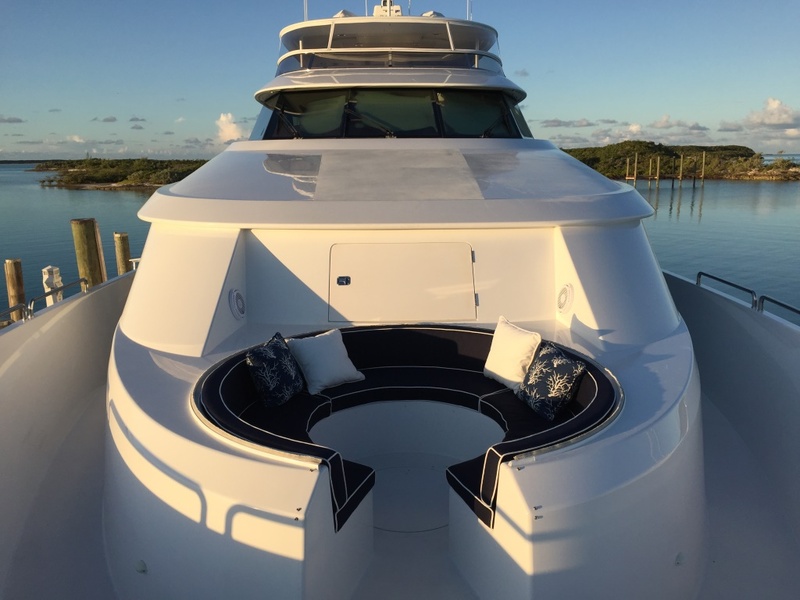 On the sundeck, the forward section is shaded and features seating with 2 small tables, drop down TV entertainment and a wet bar with fitted stools. 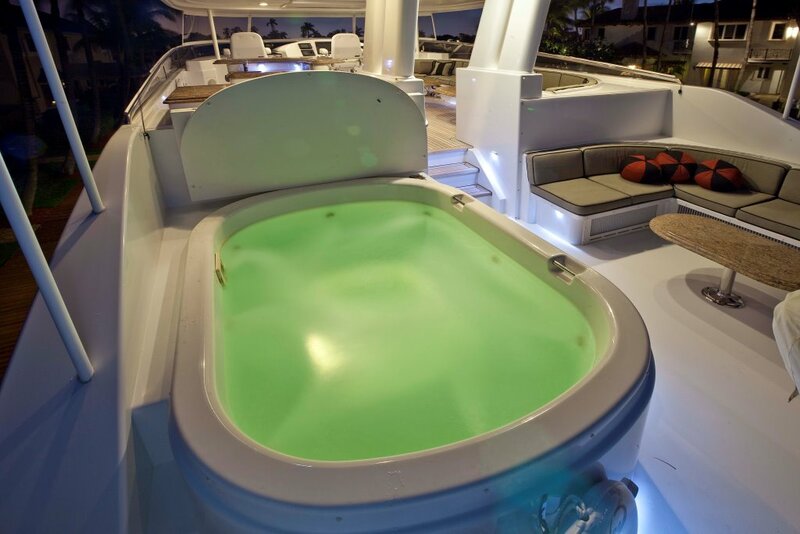 Aft, a further seating area with table and deluxe Jacuzzi complete the space in style. 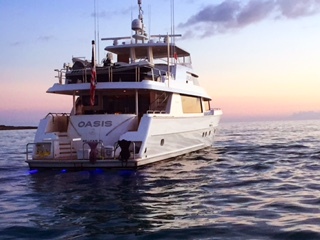 Motor yacht OASIS offers a good selection of water toys, all effortlessly accessed from the extended swim platform. 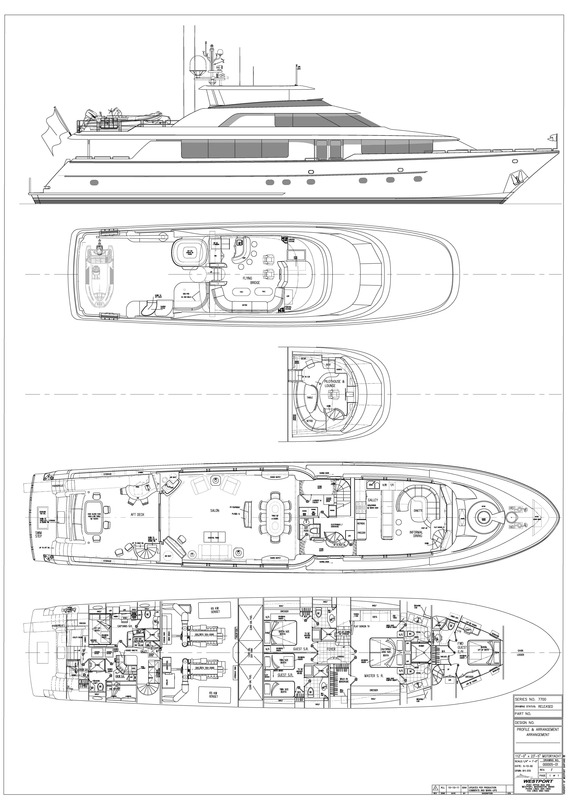 Powered by 2 x MTU 2000hp engines, the Westport yacht OASIS is cruises at 18 knots and can reach speeds of up to 25 knots. 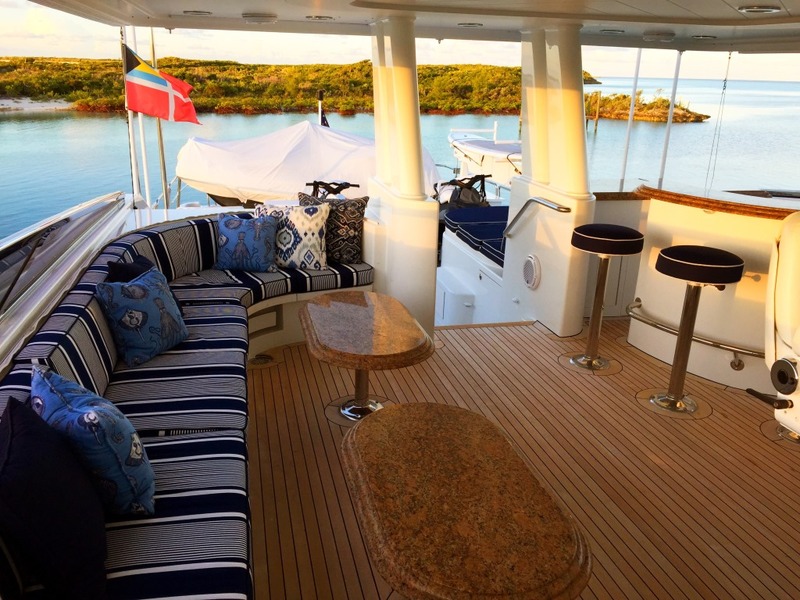 The yacht is fitted with under way stabilizers, ensuring optimum comfort. The luxury Westport 112 yacht OASIS offers accommodation in 4 en-suite cabins, for up to 8 charter guests. 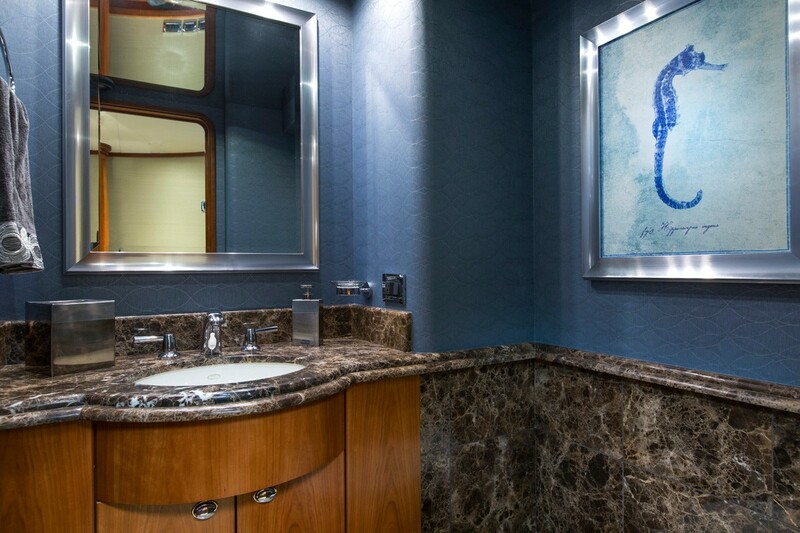 The master stateroom is below decks and features a full beam layout, ling size bed, sofa, vanity and his and hers facilities with walk through shower. 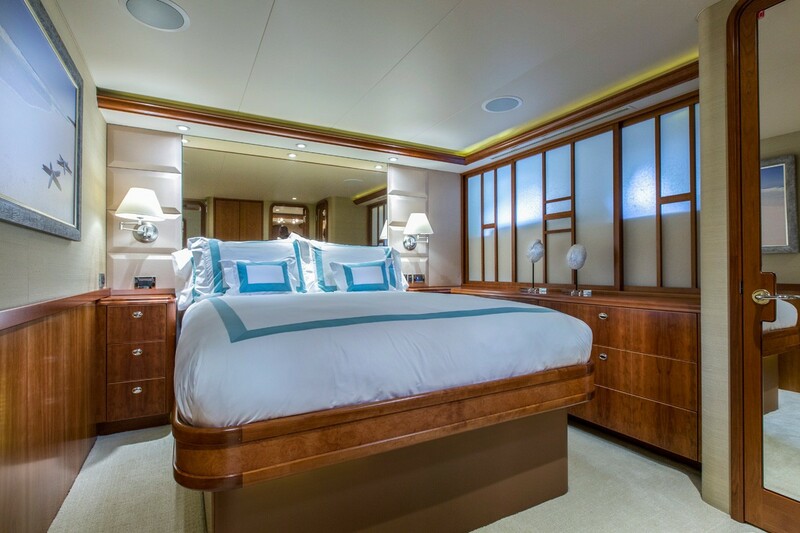 The VIP cabin is forward of the salon and galley with a private entrance, it is full beam of the yacht, with a queen size bed. 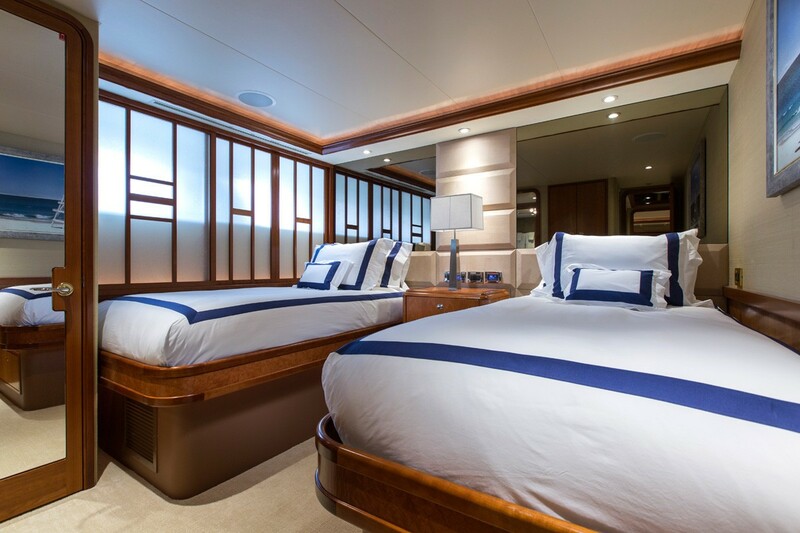 Two guest cabins below decks on port and starboard have side by side single beds, with the starboard cabin being able to convert into a queen size bed, if required. 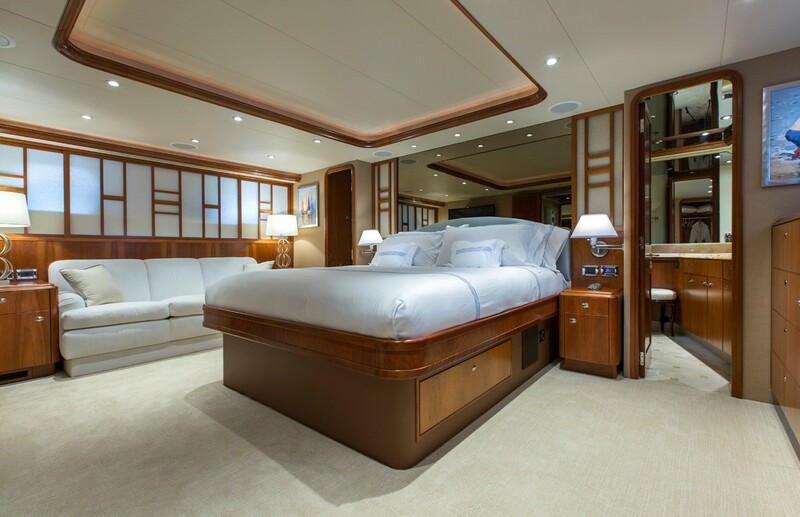 All 4 cabins have been finished to a high standard, boasting a sumptuous décor, ideal for unwinding at the end of the day.